The 2018 FIFA World Cup will be held from June 14 to July 15 in Russia. The tournament will be aired, with 56 matches shown LIVE and 8 matches shown on Delay on cable TV via LIGA and LIGA HD, while ABS-CBN S+A and S+A HD will carry over 30 matches including the Semifinal and Final matches. Liga is a Filipino commercial sports cable channel operated by ABS-CBN Sports. The channel is available on SKY cable channel 86, in high definition on SKY cable channel 183, and on Sky Direct channel 14. 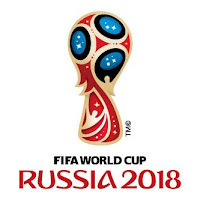 Check out below the 2018 FIFA World Cup schedule, results, scores and live stream info.